Four Loko recently surveyed 2,000 people about their favorite alcoholic beverage choice. The goal of the survey was to see if American consumer’s favorite beverage choices showed more about their personality traits than just alcohol preference. To see the full results, check out the infographic below. 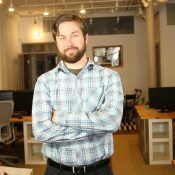 Matthew Zajechowski is Senior Outreach Manager and Content Marketing Promotions Specialist at Digital Third Coast Internet Marketing.